Why Hike up a 14er? First of all, if you are unfamiliar with the term “14er” let me educate you for a moment. The word 14er in hiking parlance refers to a 14,000ft mountain; these are the tallest mountains in the continental United States (Alaska has some monsters that exceed this height). 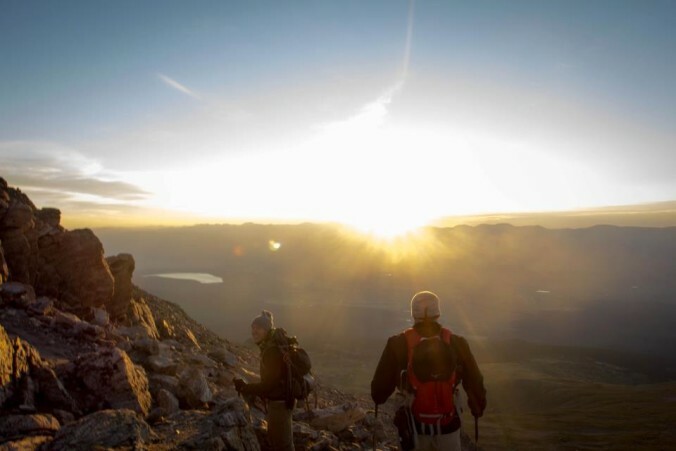 The tallest fourteener in the U.S. is Mt. Whitney in California at a massive 14,505 ft. My favorite state, Colorado, hosts anywhere from 53 to 59 fourteeners (depending on how you classify them) and hiking these bad boys are a major pastime in this state. Hiking a 14er first showed up on my radar in 9th grade. My dad had moved to Fort Collins, Colorado and was dating a woman who had attempted to hike up the legendary Longs Peak in Rocky Mountain National Park. He relayed the tale of having to wake up early EARLY in the morning to battle the altitude and afternoon thunderstorms. Instantly I knew that I had to do this. I set a life goal of: hike all of Colorado’s 14ers. Since that day, I have summited eight of them. While hiking I’ve created unforgettable memories, faced immense self-doubt, confronted fear of heights, and experienced failure. These mountains have been incredibly exhilarating and have taught me life lessons. The top of a 14er is the happiest place on earth for me.